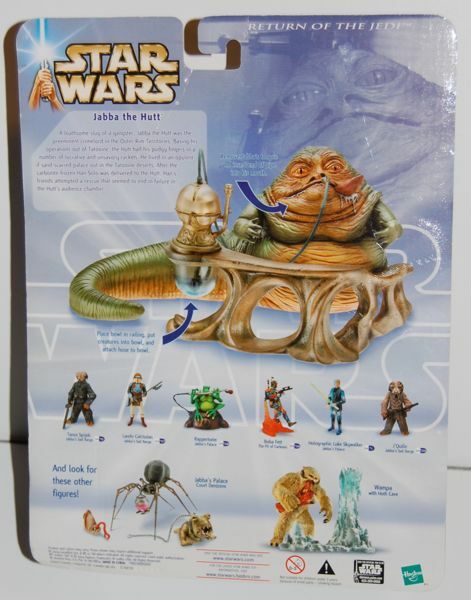 I’m not really sure what makes this “ultra” but it is one of the better Jabba figures. 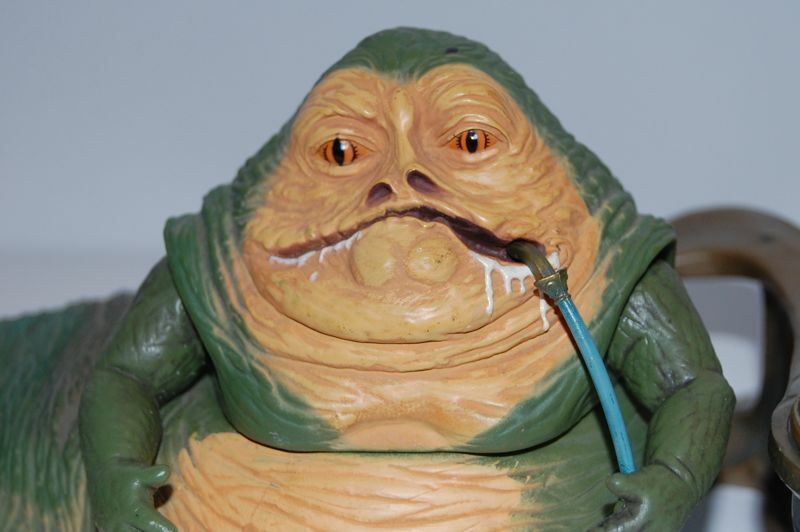 It’s almost the same sculpt as the Jabba Glob figure, although the face seems to have been reworked somewhat. 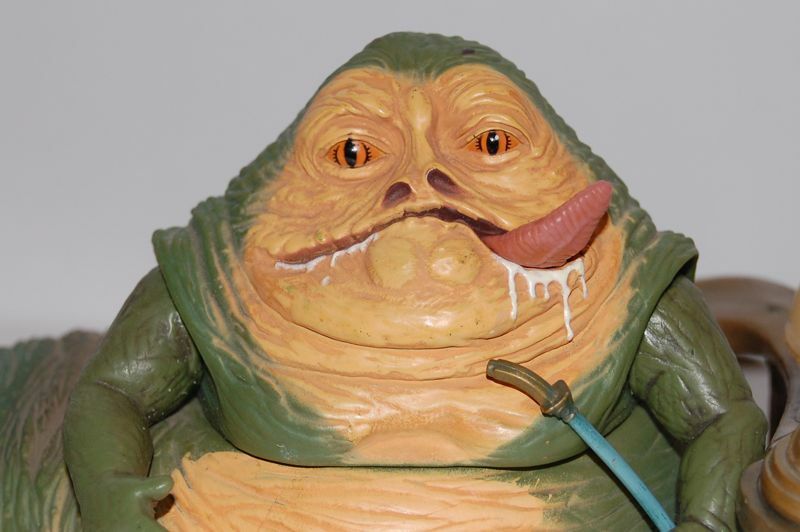 It looks more like the ROTJ Jabba, although it’s still a little odd looking in places. They made a hole in the side of his mouth where you can stick his tongue, or you can remove it and put the pipe there instead. The paint is totally different, and considerably better than the other figure. They did a reasonably good job with the orange-tan color, but I would’ve preferred that there not be such a hard line between it and the green. Still, it’s a good effort. I also repainted one of these. 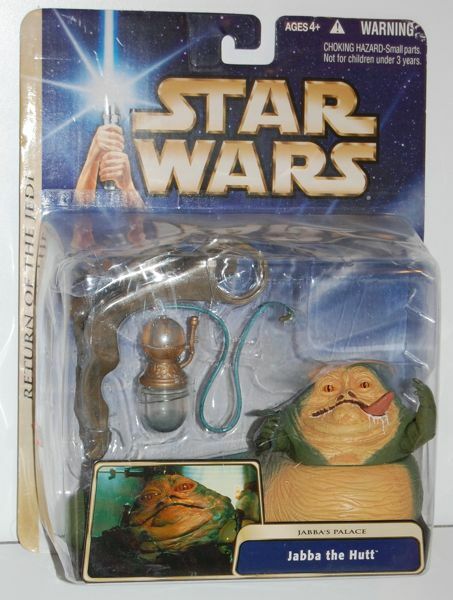 He also comes with his throne railing and pipe, and a bag of froggy snacks. I really wish Hasbro would go back to making the full throne.